Seriously. LOOK at all the stuff they make. Of course, the outcry was immediate and obvious – “traditional” climbers were the dirtbags in Yosemite in the 1970s (and earlier), doing drugs and falling on pitons with hemp ropes – if they used ropes at all. The elite climbers in 2014 are sending projects at a level that was unfathomable when climbing was in its infancy; yet Clif’s statement makes you think that the history of the sport lies in sticky rubber and shiny cams. Climbing is undeniably a sport on the rise. It’s hard to say which came first – the uptick in youth competitive climbing is matched by interest from the public, while Honnold has been featured in ads for Citibank and Squarespace – but rock climbing is no longer an inaccessible extreme sport. And since climbing is inherently a dangerous activity, the high-risk, pushing-the-limits, once-fringes are now finding themselves in the spotlight, for better or worse. 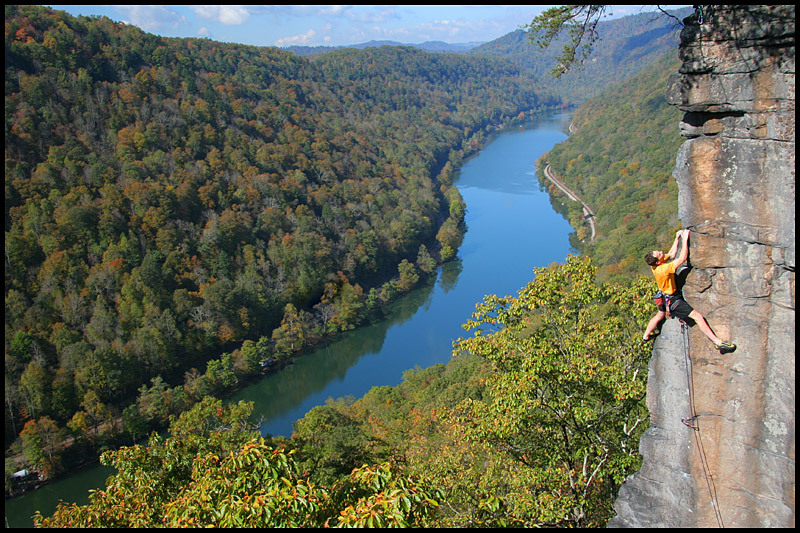 Some climbing-related activities are not for the faint of heart (or fingertip), but it can be argued that people are more likely to try dangerous things if they see people doing them on their TV. Sponsorships reward people for excellence in their field (the same way a bonus might reward an excellent salesman), and encourages them to do more impressive things, while wearing the sponsor’s logo or using their product. That makes people like me, a mediocre climber who would love to send V10, believe that the sponsored athlete’s success is due, in part, to the product. It’s a time-honored marketing tradition and it may lead to people asking questions like “does that mean I can free solo El Cap if I eat Clif Bars?” (No, I can’t.) On a more immediate scale, it glorifies incredibly dangerous activities, and people – especially children – can be quite impressionable. I’ve asked before if sponsors have a responsibility to temper their message about extreme sports, and this seems to be the beginnings of an answer. But, as the kids all say, haters gonna hate and Honnold gonna highball. He was doing these incredible things long before Clif slapped their logo on his clothing. Dean Potter has been jumping off of an assortment of things for longer than most of our readers have been alive. (That may be an exaggeration but I bet it’s not by much.) People have been pushing the limits for as long as there have been limits to push. They don’t need sponsors to do it, but they certainly help. They bring the sport to the mainstream attention, which in turn means more scrutiny and more criticism. And that’s where some people start to get spiky. How many of us have heard of fabled “secret” crags that only a few are allowed access to, lest their pristine nature be spoiled by the unworthy masses? How many of us have avoided our gyms on a Saturday because of the slew of birthday parties and youth groups taking up space and ropes? How many of us have seen access lost because of an influx of irresponsible climbers? The consequences are very real, so does the climbing world really want all of this exposure? I prefer this type of exposure. Photo: supertopo. The answer to that is a resounding “you don’t really have a choice.” Sorry about that. The attention being paid to climbing and its fringe, high-risk elite brings a responsibility. When people ask me about climbing, and if I “climb without ropes,” I do my best to explain the difference between bouldering, sport climbing, and free soloing. I explain – if they’ll listen – that free climbing and free soloing are two very different things. And I’ll further explain the training I’ve had to go through to do what I do, the risks I know I take and the ways I mitigate those risks for myself and those around me. It’s part of working at a gym, sure, but it’s also part of protecting the culture and the sport for myself and everyone else who wants to climb tomorrow. I’m sure I am as influenced by marketing as the next person, but I’ve never felt inclined to free solo just because I see Alex Honnold being badass three thousand feet above the ground. I am inspired to push my own limits, but I also know what those limits are. All of these athletes do – it’s what makes them excel at their chosen sport. Just another day at the office. 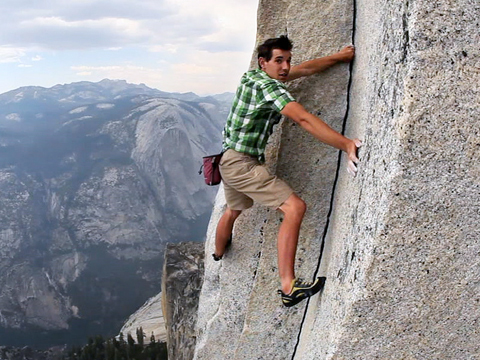 Alex Honnold in Yosemite. 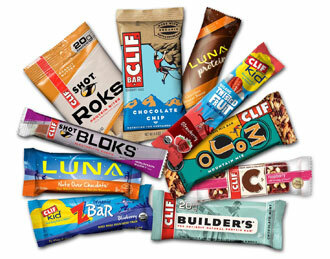 Clif’s decision may have ripples in the climbing and extreme sport community, but people are still going to climb. Honnold and Potter and Davis and O’Neill and Wright are going to continue doing what they’ve been doing, because it is what they do. It is who they are, the same as our heady topouts or runout projects are part of who we are. No amount of sponsorship will ever change that, and no amount of sponsorship will ever push us harder than we are going to push ourselves. This entry was posted in Discussion, Outdoor Climbing and tagged Alex Honnold, Discussion. Bookmark the permalink. Well written and comprehensive. The bottom line I think is that Clif has chosen to change their image regarding who they sponsor and why, and they have every right to. Is it a bit hypocritical, given all the attention (which has undoubtedly meant revenue as well) these athletes have provided Clif? Perhaps, but I’d be willing to bet that Cedar, Timmy, Steph, Dean and Alex are in much less of an uproar about it than anyone else.